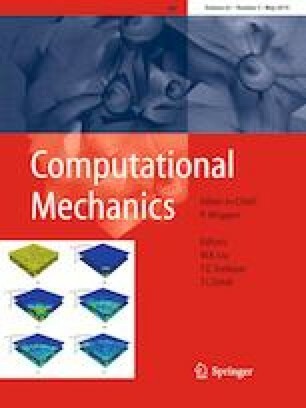 An integrated computational framework is presented for the automated modeling and simulation of the failure response of carbon fiber reinforced polymers (CFRPs) with arbitrary-shaped, randomly-misaligned, embedded fibers. The proposed approach relies on a new packing/relocation-based reconstruction algorithm to synthesize realistic 3D representative volume elements (RVEs) of CFRP. A non-iterative mesh generation algorithm is then employed to create high-quality finite element models of each RVE. The failure response of CFRP is simulated using ductile and cohesive-contact damage models for the epoxy matrix and along fiber-matrix interfaces, respectively. In addition to studying the impact of fiber misalignments, this computational framework is employed to investigate the effect of cross-sectional geometry of fibers (circular versus oval shaped) on the strength, ductility, and toughness of CFRP subject to tensile and compressive loads applied transverse to the fibers direction. This work has been supported by the Air Force Office of Scientific Research (AFOSR) under Grant Number FA9550-17-1-0350 and the Ohio State University Simulation Innovation and Modeling Center (SIMCenter) through support from Honda R&D Americas, Inc. The authors also acknowledge the allocation of computing time from the Ohio Supercomputer Center (OSC).